Avirup Sen Gupta is the Lead Data Scientist with Perr&Knight. 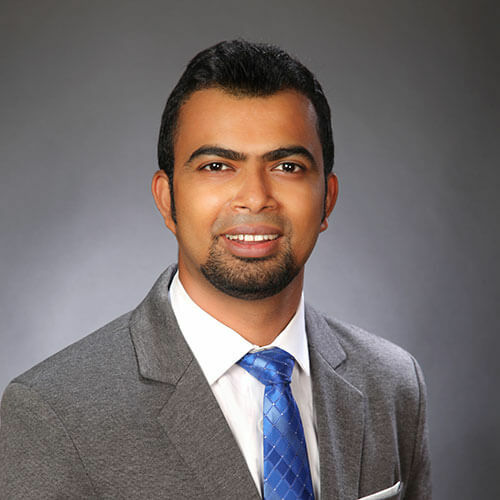 He is responsible for performing complex statistical analyses using the latest predictive analytics techniques to determine opportunities for our insurance industry clients. Avirup is an expert in machine learning models and big data analytics with the ability to improve data-driven business decisions. Avirup has applied predictive modeling techniques in the insurance industry over the past four years. Prior to joining Perr&Knight, Avirup was the Catastrophe Modeling Team Lead for American International Group (“AIG”), where he combined large scale structured and unstructured exposure, claim and catastrophe hazard data to estimate business metrics. Prior to AIG, Avirup was a Scientist at AIR Worldwide Corporation where he performed modeling to measure flood hazards, develop effective risk management strategies, and discover profitable business opportunities. Avirup earned his Ph.D. in Civil and Environmental Engineering. He has also earned certificates in Data Science Specialization and completed several courses on advanced Machine Learning methods. Avirup is a member of the American Geophysical Union (AGU) and received several research awards and fellowships during his tenure at Utah State University and University of Maine. Avirup has authored many technical articles in top-notch journals related to weather and environmental data and modeling.